Stockmann’s Helsinki city centre department store, which was built in 1930, is the history of Finnish construction. Over the years, the numerous renovations and extensions peaked with the Stockmann of All Times project which was completed in 2010. 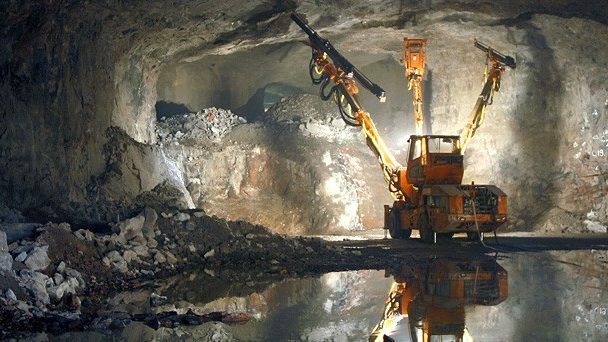 We implemented the quarrying, reinforcement and sealing work, and demanding civil engineering work, of the Stockmann department store and Kirjatalo’s maintenance premises and shafts, as well as the relevant underground premises. 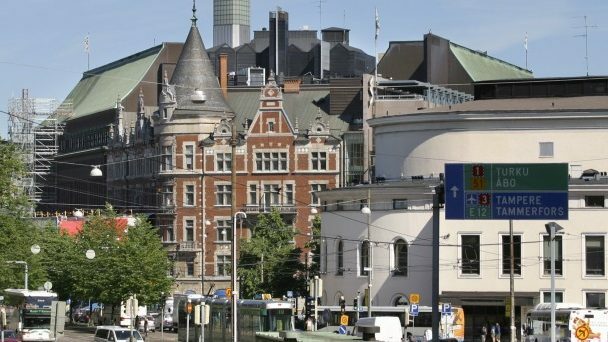 The accuracy and safety of blasting work had to be paid special attention to, because they were carried out in the city centre of Helsinki close to valuable properties and in the middle of crowds of people. We use special equipment from various sectors of rock engineering i the project. The project is the first site in Finland where the emulsion loading method was used comprehensively in an urban area. We excavated a total of 19 shafts from the undeerground premises, which shall provide access to the above-ground properties and outdoor facilities. Highly demanding shaft excavations require the use of several different excavation techniques. 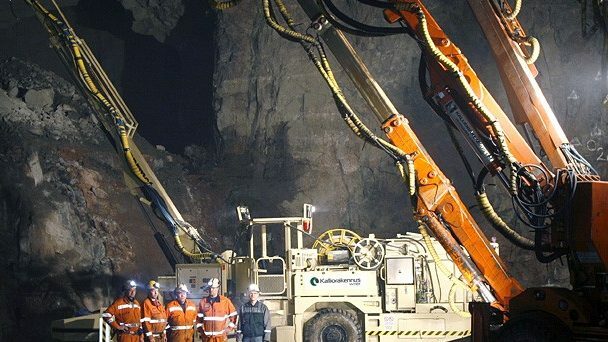 Shafts were excavated by means of so-called long-hole drilling, as Alimak raiseboring and Kalliorakennus’s specifically developed opening excavation method. 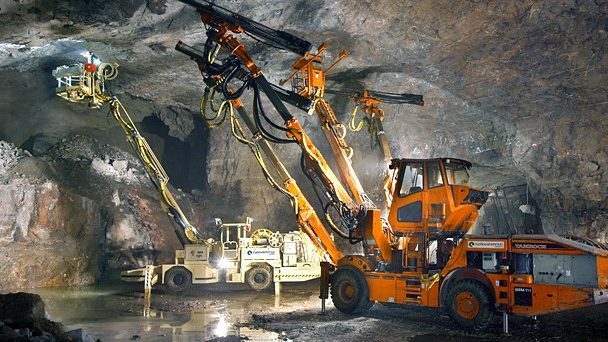 Our building works also consisted of Keskuskatu’s open pit mining in two stages. While the premises below Keskuskatu were expanded by means of mining, Keskuskatu was kept open for pedestrians and the business operations continued in the area without interruption. During the project a 3-storey parking facility for 600 cars was built in the city centre of Helsinki. We were responsible for the mining and reinforcement work of the parking facility. 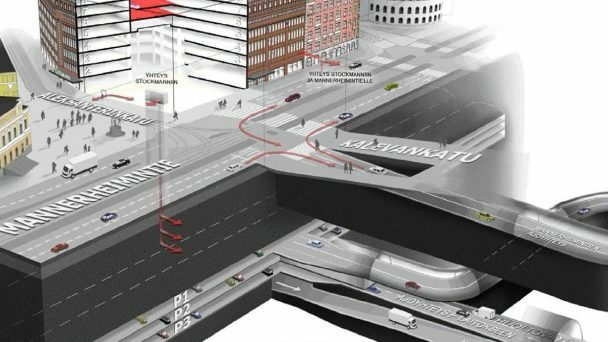 We created a road tunnel connection for the parking facility to Kalevalankatu, and via the centre’s service tunnel to Ruoholahdenkatu, as well as several shaft connections to the Stockmann department store and elsewhere in the city centre. The project was an extremely demanding mining site in technical and schedule terms, during which time the Stockmann department store was open throughout and operated normally. 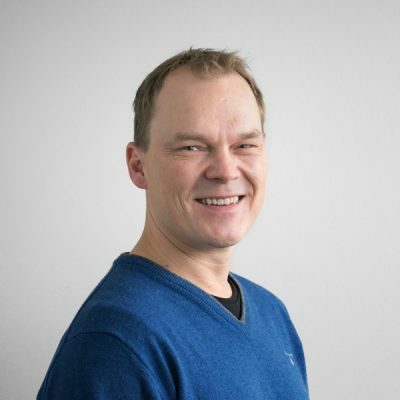 The successful completion of the demanding project would not have been possible without experienced designers and seamless cooperation with the developer.